Starting in 2012 as DigitME, the current project delivers support to manufacturing SMEs across Lancashire. 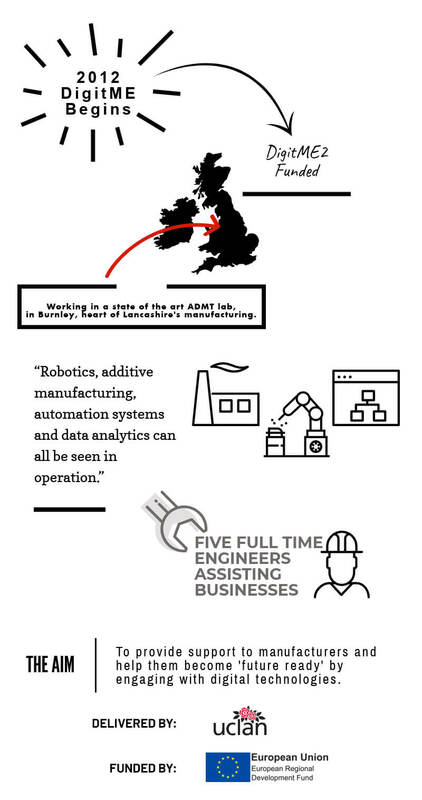 Working from the state of the art Advanced Manufacturing Technology Centre in Burnley, the heart of Lancashire’s manufacturing, 5 full time engineers assist businesses in technologies such as data analytics, robotics, additive manufacturing and automation systems. Delivered by UCLan, funded by ERDF.